While we were in Ithaca we went to visit an orchid grower that Aaron met recently at a floral show. You may have seen his orchids at Wegmans. 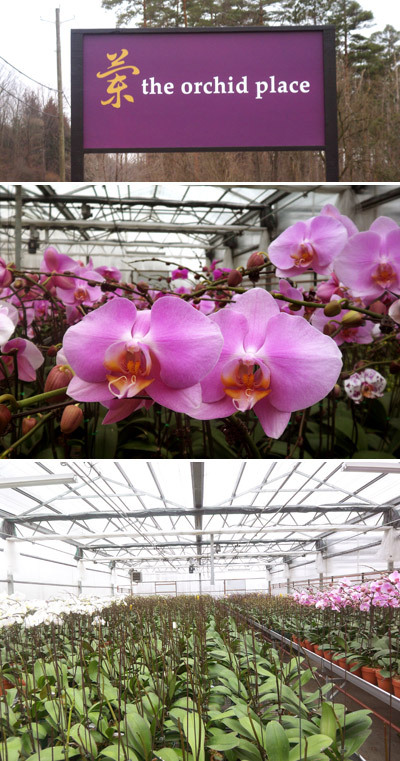 We got a tour of his greenhouse... there were hundreds and hundreds of orchids growing. Then we had tea with him which was amazing. I was thrilled because my two orchids at home just bloomed and I got to take another home to join them. Swoon! Those photos make me smile!